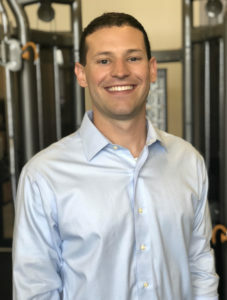 Joshua Bryant, DPT, OCS earned his Bachelor of Science in Kinesiology from Louisiana State University in 2012 and earned his Doctor of Physical Therapy from the Louisiana State University Health Sciences Center in 2015. Bryant has treated and trained high school, collegiate, and professional athletes in a wide range of sports, including football, baseball, and basketball. Utilizing his sports medicine and performance knowledge and experience, as well as his passion for sports, Bryant has helped launch the successful Lacrosse SportFIT program. He is a New Orleans native and currently resides in Harahan with his wife.